Right now strawberries are dirt cheap at the grocery store! This is a light summer recipe perfect to serve with any meal. 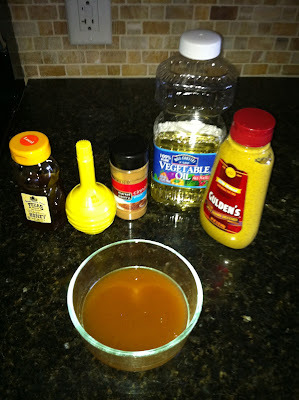 In small clean jar with tight-fitting lid, combine oil, honey, cinnamon, lemon juice, mustard, and salt and shake well. Refrigerate until serving time. Combine spinach and strawberries and toss together. Just before serving, drizzle with dressing and toss gently to coat. Serves 6. I served this salad with a filet (grilled by my husband), sweet potato, and sourdough bread with fresh garlic cloves. I always clean and pit the strawberries before slicing them. This strawberry huller is another great kitchen tool that I use all the time.